Everyone says that Teteven Balkan is the most beautiful, but how many of these do really know it? Its hidden secrets are countless, the unexpected and unforgettable views are even more than you expect. We offer you 2 days, in which we will combine the visits to interesting and famous places with the pleasure of wandering off the tourist trails. Riding on a horse back! We arrive at the village of Golyam Izvor. We meet the horses and get brief instructions. 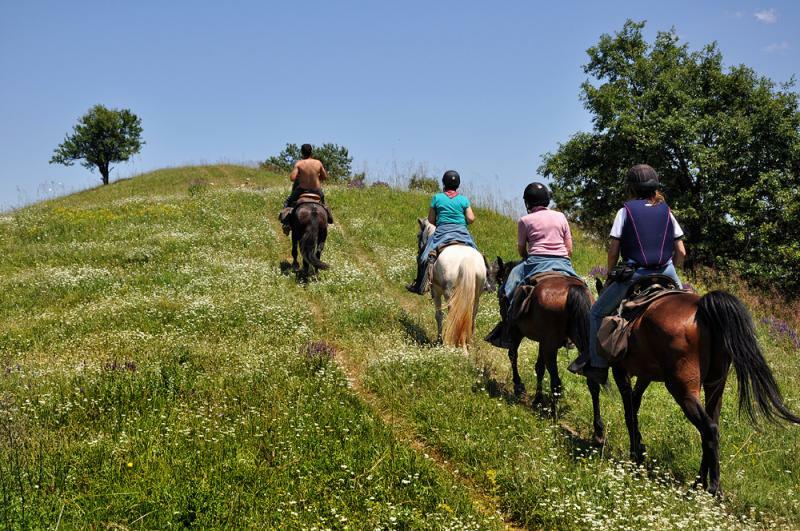 We saddle the horses and head along forest paths to the Ridge of Lisets Mountain, from where a splendid panorama view to Teteven Balkan is revealed. Riding through a century-old beech forest we approach Glozhen Monastery. 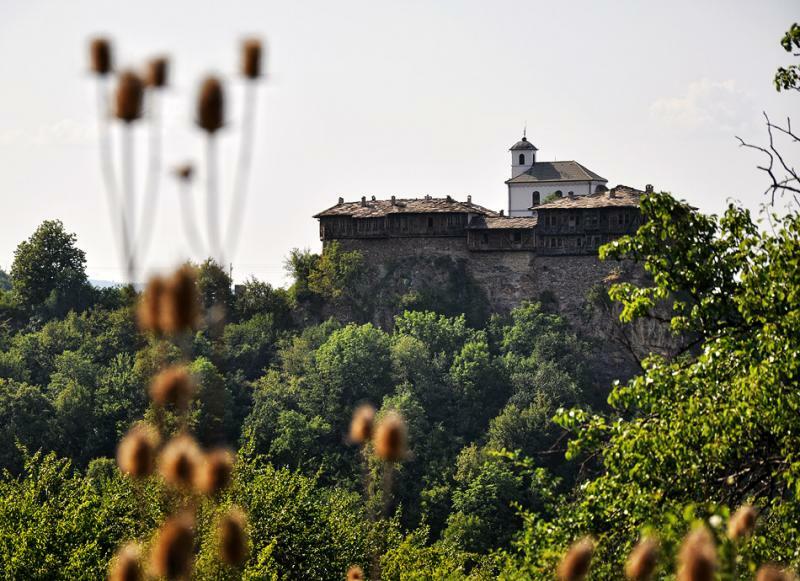 Its impressive silhouette perched on an inaccessible rock is one of the most impressive sights in Bulgaria. After a short walk inside we return to Golyam Izvor for overnight. 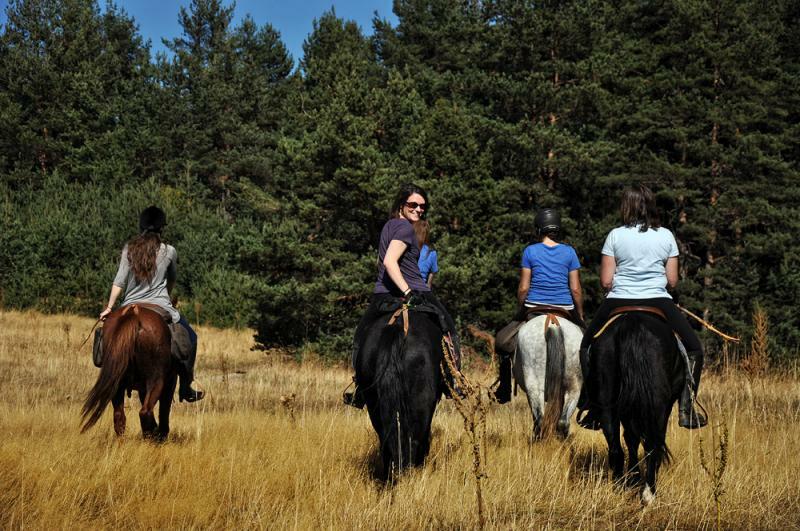 Note: This tour is suitable both for beginners and experienced riders. 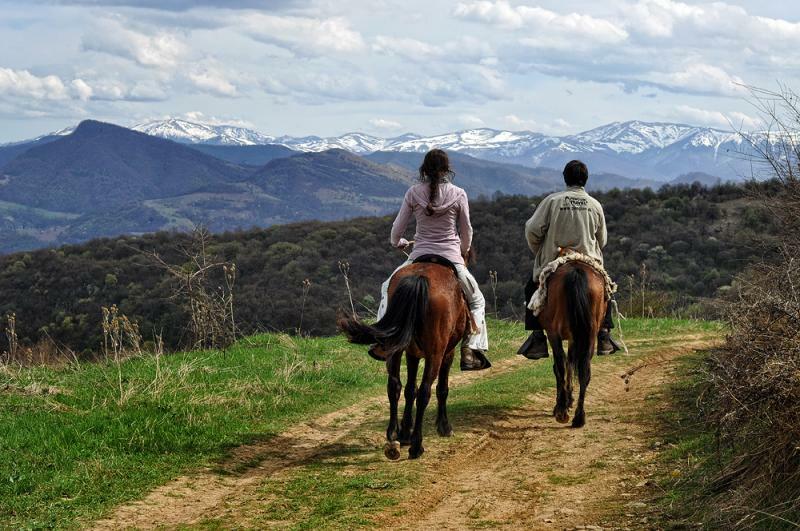 Wander the endless forests of the Rodopi Mountains, enjoy spacious views, and rest among hidden meadows. 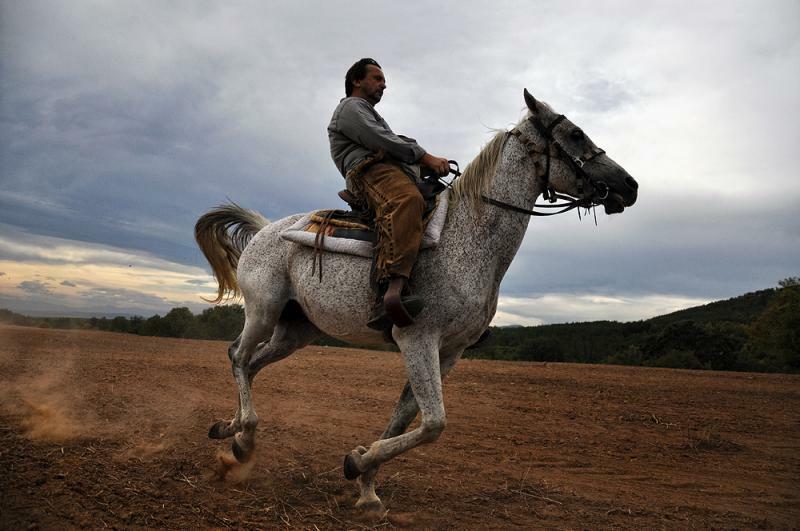 Enjoy these ancient mountains on the back of a horse. Two days away from the city noise and stress, two days of a relaxing communication with the nature! Arrive Purvenets, ca. 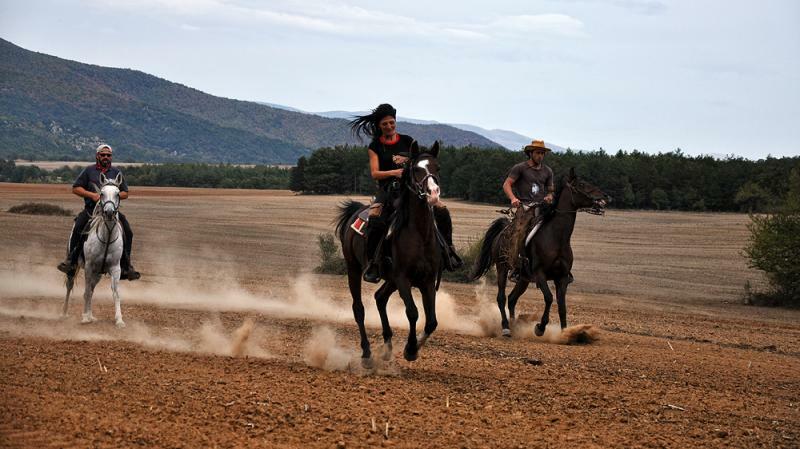 10 km from Plovdiv, where we meet the horses and some brief instructions follow. The beginning of the route is via meadows and oak trees up in the mountains. 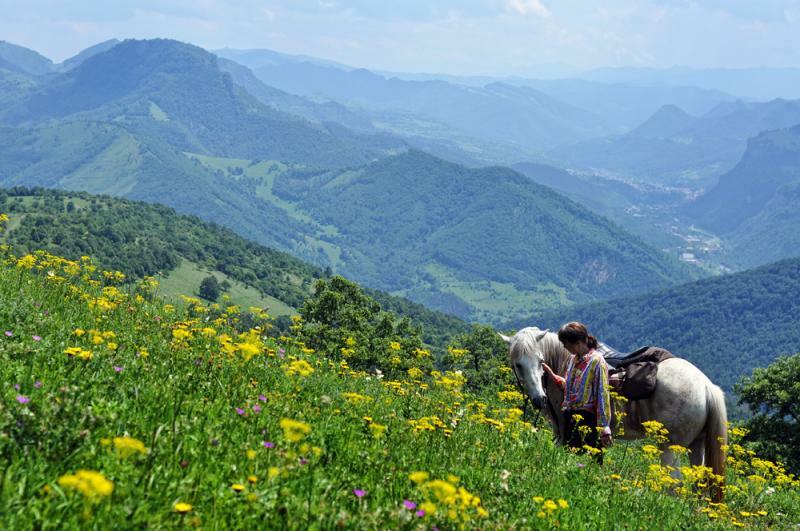 After a short rest at Zdravets area we continue upwards but along a slighter slope, which is suitable for trotting and galloping. Then we descend along a path, where we will have to lead the horses. We won’t miss the chance to enjoy the beautiful views revealed along the way. Thus we will reach the villa zone of the village of Dedevo, where we will overnight in a bungalow. Today we will return to the village of Galabovo but following another route. The riding is more diverse with more opportunities for trotting and galloping. We will pass through wild forests, where we might have a glimpse of wild animals. 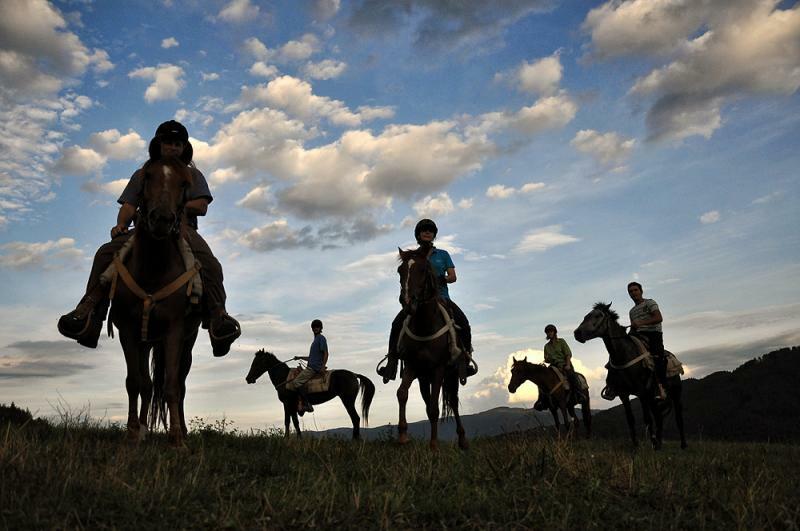 At the end we will bid farewell to the horses that have helped us discover the charm of the Rodopi Mountains. 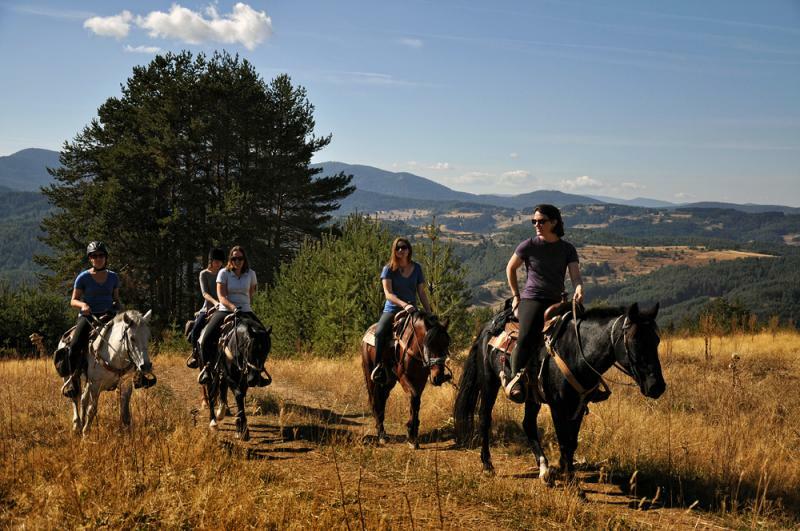 Sredna Gora offers the ideal conditions for horse riding – slight ascends and descends, roads suitable for trotting and galloping, beautiful views. And when you combine all of this with the good local wines and the Thracian sanctuaries temptation becomes irresistible! Sredna Gora. Marvelous sights are revealed from Sredna Gora Mountains due to its central location – views to Balkan Mountains to the north, Rhodopi and Rila Mountains to the south, as well as to the vast Thracian Valley. Hissar – an ancient town with many Roman ruins – including a several km fortress wall encircling the modern center. The place is well known for its 22 healing mineral springs. Nowadays Hissar is a famous SPA center. Thracian Cult Complex in Starosel comprises of a vault tomb, another tomb with colonnade and several cenotaphs from 5th-4th c. BC. Arrival to the riding base in Hissar. We meet the horses and some brief instructions follow. We head to the mountains passing across meadows and oak forests. 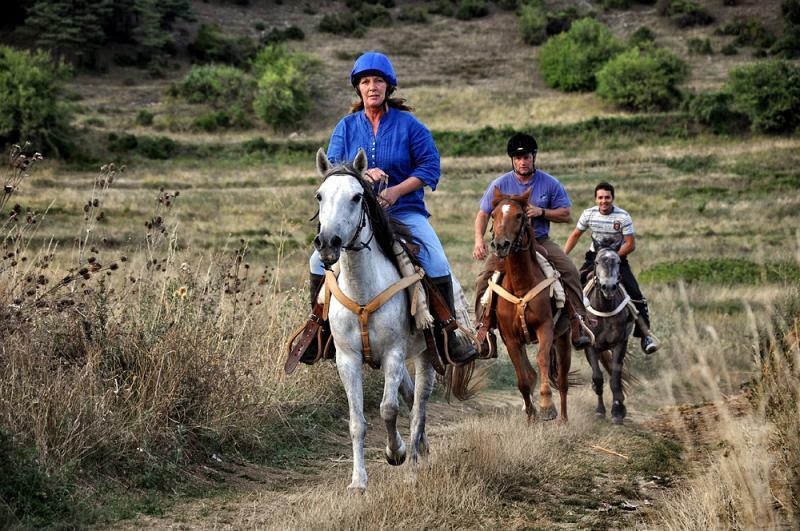 Afterwards we will ride on the other side of the ridge (800 m a.s.l) and we will descend to the village of Kliment. 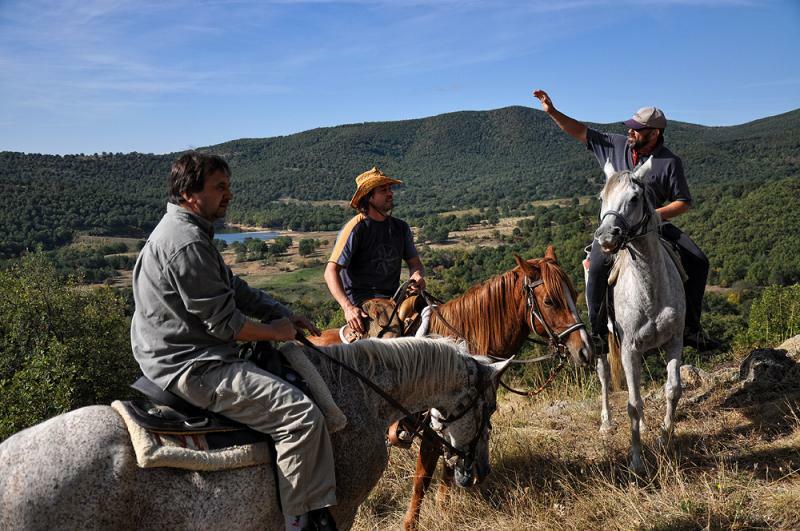 Finally we will cross river Stryama and riding through vineyards we will reach Chateau Copsa cellar, where we will overnight and have the opportunity to taste the local wines. We will return to Hissar today but following another route – via the villages of Dabene and Voinyagovo. Arrival to the riding base in Hissar. We meet the horses and some brief instructions follow. We head westwards to the village of Starosel. Along the way we will pass by the Thracian sanctuary Paralia, Apollo’s sacrificial stone, “Saddle of desires”, and the rock sanctuary Kamenitsa. We will spend the night at the wine cellar Starosel, where we can taste different wines produced in the winery. We head back towards the riding base in Hissar. This time we will visit the Thracian temple Horizon and the tomb in Chetinyova mound. After a rest by lake Almalaka we will return to the base crossing fields and meadows.